The European Emergency Number Association (EENA) just announced at its conference in Slovenia its partnership with Danish AI startup Corti. 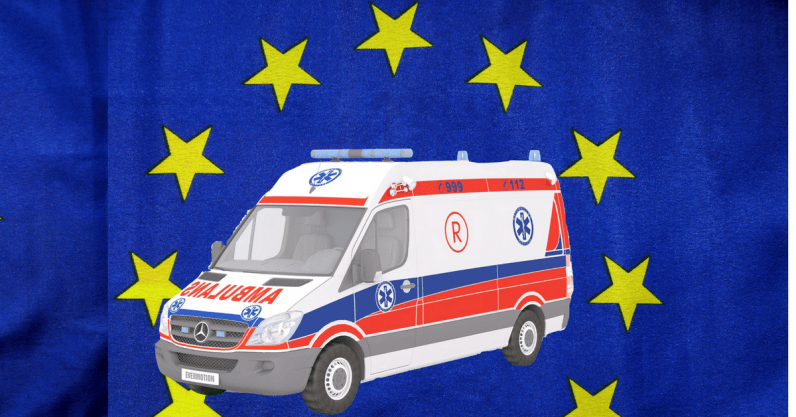 Together they will implement cardiac arrest-detecting AI for emergency call services in Europe. The year-long joint initiative will be launched in four European countries and will provide real-time decision support for emergency dispatchers, effectively enhancing human decision-making skills with AI. TNW is in Ljubljana, and we spoke with Andreas Cleve, CEO of Corti, and Jérôme Pâris, EENA Managing Director, about the new ambitious partnership. “With cardiac arrest, it’s critical to detect it early and initiate rescue steps, with every minute it goes undetected leading to a seven to 10 percent drop in survival,” says Cleve and adds that Corti’s main objective is to improve the accuracy and efficiency of dispatchers’ diagnostic process. And it seems that Corti is likely to reach its goal. After analyzing data from Corti’s first trial run in Copenhagen — which included 4,089 emergency calls regarding cardiac arrests — it was discovered that human dispatchers managed to recognize 73.9 percent of cardiac arrest calls while the Corti AI correctly analyzed 95.3 percent of the calls. That’s a stunning difference, especially in life-and-death situations. Cleve says the partnership with EENA will allow Corti to build on what it achieved in Copenhagen and bring its life-saving tech to more people. Life-saving AI is a lofty goal, but how does it work? In this video you can see an ‘under the hood’ view of a typical scenario where Corti’s AI is used during an emergency call. At the core of Corti’s AI is a state-of-the-art, real-time automatic speech recognition technology that provides recommendations and advice for medical dispatchers handling emergency calls. That sounds pretty good, but what’s the actual process of the AI and how does it work with the human dispatcher? During the call, the data is analyzed and compared with historical data collected from millions of previous emergency calls, which is how the platform learns over time. As understanding of the incident increases during the call, achieved both through the analyzed data and the caller’s input, Corti will learn to predict the criticality of the situation, delivering real-time alerts and recommendations to the dispatcher. Being able to detect whether the caller is having a heart attack with AI must undeniably be a great boon to emergency dispatchers who must act quickly to save lives. But if the AI can pick up on tiny non-verbal cues, couldn’t it eventually sort out which ‘silent’ emergency calls are a hoax and which are actual life threatening situations? This is one of the things the Corti team wants to improve and eventually implement. Theoretically, the AI should already be capable of it but the partnership with EENA will hopefully lead to a better understanding of whether it works in the field. Another great obstacle Corti’s AI will face is learning new languages. “Languages with very few speakers present more challenges, as there’s less available data to train on, though naturally the platform learns over time and will become more proficient as it collects more data,” says Cleve. Although language can be tricky, we can be sure it’ll still be easier for Corti’s AI to pick distress signs up than humans. The pilot project will also be launched in four different countries, giving Corti a more detailed understanding on how to bring its life saving tech to more people. The EENA will start now to scout for suitable locations before announcing which four European countries will implement Corti’s AI into their emergency services in June 2018.